This engine is our first due piece of apparatus to most calls within the district and responds out of district for mutual aid requests. 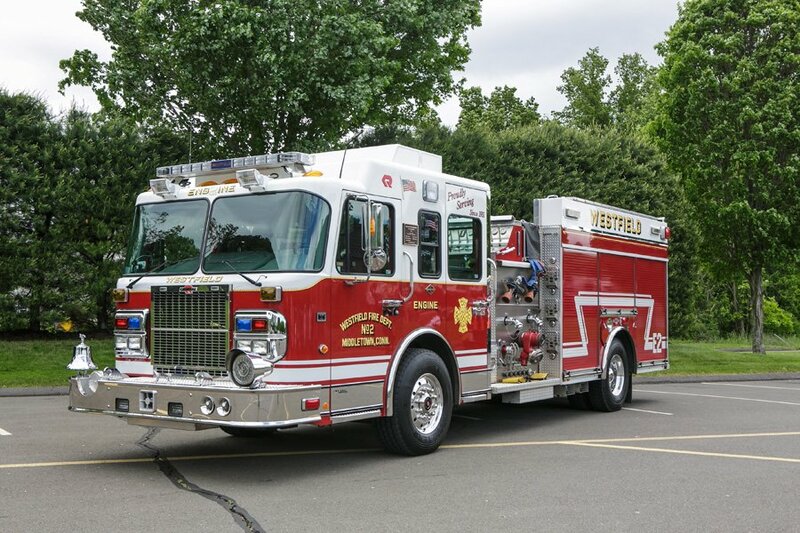 Engine 2 is equipped with a 1500 gallon per minute Waterous pump, a 750 gallon booster tank, and two foam tanks which hold 25 gallons of both Class A and Class B foam. The truck is run by a 425 HP Detroit Diesel Series 60 engine and has an Allison Automatic Transmission. This engine has an on-board 15 kilowatt hydraulic generator which powers all the electrical equipment such as, the Command Light Tower, Hurst Tool System, and an electric fan used for ventilation. Engine 2 carries 1500 feet of 5-inch supply hose, 3 pre-connected attack lines (300 feet each), 500 feet of 2.5 inch hose, and 500 feet of 3-inch hose.